Mr. Hoban, a dapper, goateed fellow who walked with a limp from a childhood case of polio, admitted he was no chess master, though he had beaten some of the best players in the world. After spending 17 years as a lawyer, including service as a welfare fraud investigator in New York City, he joined the Peace Corps, serving in East Pakistan where, twice, chess saved his life. On one occasion, he was at a train station, fleeing an erupting conflict between India and Pakistan when a young Bengali man noticed he was carrying a chess board and asked to ride with him on the train so they could play chess. Soon after, they were accosted by six Bengalis who were ready attack the foreigner. The young Bengali chess player helped Mr. Hoban fight them off. “If it were not for chess which brought the young man and me together, I would never have made it out of that one alive,” he said. Another time, in Dacca, a Bengali student with whom he played chess ran to his office one day to warn him that a group of Bengalis were on their way to attack the Americans. They escaped the office in the nick of time. 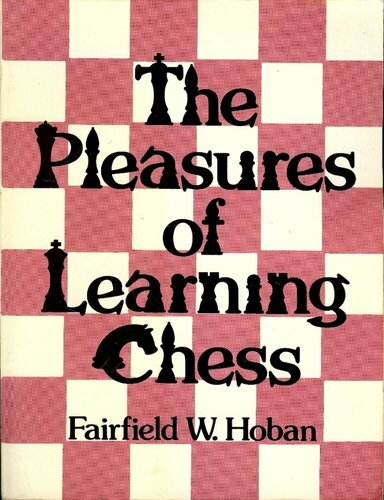 With an added respect for the value of chess, Hoban returned to the States, became chess columnist for The Saturday Review magazine, and then chess editor the World magazine, founded by Norman Cousins, who’d been Saturday Review’s editor. Hoban’s book, The Pleasure of Learning Chess, was published in 1974. In the late 1970s, he became the editor of Chess Life, the publication of the United States Chess Federation. After living here about eight years, he moved in 1975 to Pleasantville, N.Y. He died in 1997.